Companion Brands is a privately owned Australian business which was established in 1995. We are a wholesale distributor of outdoor leisure, hardware and industrial products. We specialise in the supply of well-known and reputable brands to a wide range of resellers throughout Australia. We also have international sales into countries such as New Zealand, USA, UK, Scandinavia, Europe, Middle East and South Africa. Many of our products are designed and developed in-house for the Australian market, and have also found acceptance internationally. Today our brands combine to create Australia’s largest range of outdoor camping and leisure products. Our industrial division has the most extensive range of LP gas torches, compressed air fittings and accessories available in Australia. We are committed to product quality and customer support both at a reseller and consumer level which is backed up by an extensive service network and customer support team. Product development and innovation are key drivers for our business and we look forward to sharing with you our ever increasing portfolio of brands and products. 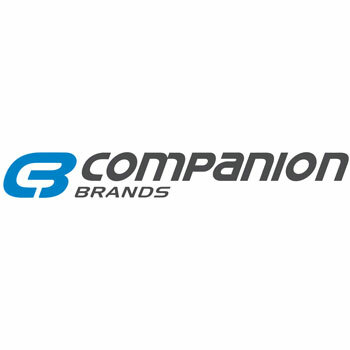 Today, at Companion Brands we strive to enhance both our customers and the consumers experience with every product that we offer.